Manchester has the biggest city living scene anywhere in the UK. Estimates suggest over 25,000 people live in the immediate Manchester city centre alone. Reliable impartial information about where to live in Manchester city centre isn’t easy to find though. So we’ve put together this detailed guide on where to buy, live or invest in Manchester city centre. First up, Castlefield. This former industrial area has been regenerated over the last 20-30 years and, since the developers first moved in during the 1980s it is now a well established residential location. Castlefield offers fantastic access to the road network by way of the A57(M) Mancunian Way, so is ideal if you want to commute outside the city centre, yet is quieter than the immediate city centre too. The area offers converted period buildings and mainly low-rise new build properties, many in an attractive canal side setting. 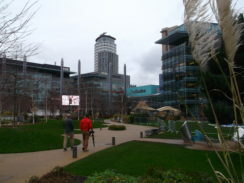 One snag is that some parts of Castlefield can be a bit of a hike to the main shopping/commercial areas. Southern Gateway. A generic name for an area south of the city centre (as you might expect) from roundabout Piccadilly Station in the east to Castlefield in the west. The Southern Gateway offers both new build developments and conversions of some impressive commercial buildings from Manchester’s cotton trading days. As it’s near to the university campuses (University of Manchester and Manchester Metropolitan University) it’s an area that is popular (although not exclusive to) students. Just south of the city centre, Rusholme and Fallowfield are the traditional student property areas. Southern Gateway (but don’t look for a gate, there isn’t one) has fantastic transport links with several stations, access to the ring road and, so it seems, a more frequent bus service than just about anywhere else in the country. One point to bear in mind here, the areas adjacent to Whitworth Street, Canal Street and Oxford Road are very busy nightlife areas (especially at weekends) so – if you’re not joining in the party – these areas can be a bit noisy. Northern Quarter. On the face of it the Northern Quarter looks a bit run down. But don’t be deceived …. that’s just a sneaky trick to deter people who aren’t quite hip enough to live here. 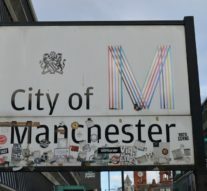 NQ, to those who know and love it, is Manchester’s trendy bohemian area with lots of independent shops, bars and eateries and more trendy, bohemian people walking its streets than pretty much anywhere else in the north. Almost any agent you speak to will tell you that apartments in NQ are some of the most sought after in the city centre without exception. Most of them are in converted period buildings but there are some new builds too. It couldn’t be any more central or convenient for the big city centre shops (including the Manchester ‘institution’ that is the Arndale shopping mall), transport and city offices either. Deansgate and Spinningfields. 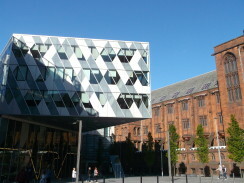 Deansgate is Manchester’s main city centre road connecting Castlefield in the west with NOMA and the Green Quarter (well almost) in the east. 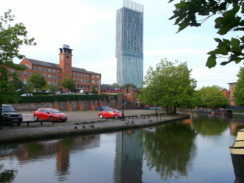 The area around Deansgate and Spinningfields – which a fairly new and upmarket-ish commercial area – are home to some of the city centre’s most prestigious apartment developments, such as Manchester’s very own skyscraper the Beetham Tower and No. One Deansgate. The area is very convenient and so attractive to those working in the immediate city centre and Spinningfields’ commercial offices. Expect to pay for the location as, generally, you get less property for more money here than other parts of Manchester city centre. 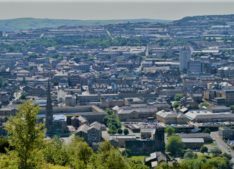 Green Quarter isn’t all that green either but as a development Green Quarter has been very nicely done and offers good value, high rise apartments – some of which have great city skyline views – in a really convenient location. 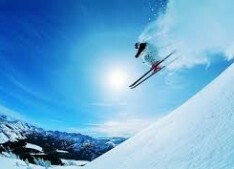 NOMA. NOMA or ‘north Manchester’ is an only partially developed new city centre suburb with residential apartments and commercial development just to the north of the immediate centre and right next to Victoria Station. 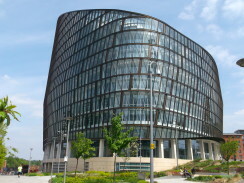 It’s centrepiece is the Co-Op HQ, One Angel Square, which must rank as one of the most impressive new buildings in the country. Let’s be honest, NOMA is going to be a building site for quite a few years yet (but then so is much of Manchester city centre right now), but what’s been done so far suggests it’s set to be a very well designed, very high quality new part of town when it’s finished. Ludgate Hill. Just beyond NOMA (or where it will be) is Ludgate Hill an unassuming ‘urban village’ based around some old Co-Op buildings. A bit of an often overlooked backwater Ludgate Hill is a quiet spot with good-value properties. Ancoats. Ancoats is a formerly grimy and grungy industrial area just to the north of the city centre (so very convenient) that’s been regenerated over recent years. There are some lovely old converted industrial buildings here, complete with real life ‘Coronation Street’ style streets, standing alongside a few new builds. 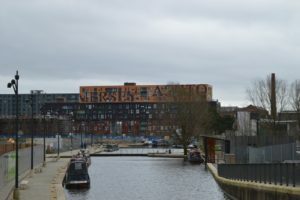 Ancoats still slightly has the feeling of an up-and-coming area that’s not yet really up-and-come – it still feels a bit quiet and lifeless and it borders some of the less salubrious areas of the inner city – but the upside is that it’s generally good value. 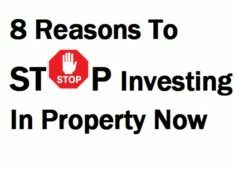 One more point about Ancoats: Beware of slightly naughty sellers who tell you that their Ancoats property is in the more fashionable and more expensive Northern Quarter …. it isn’t! New Islington. New Islington must be pretty much be a property marketing man’s dream come true, conjuring up as it does images of one of London’s trendiest (and most expensive) suburbs. Try not to be disappointed when you discover that, as a partly developed new urban village (first envisaged around the turn of the century) it’s nothing like Islington in London, nothing at all! Not to take anything away from New Islington though there are some smart new developments, with more planned, plus a tram stop that takes you into and across the city centre in minutes. It’s also pretty good value for money too. Salford. Lots of outsiders don’t realise that, what is often thought of as Manchester isn’t Manchester at all, but the completely separate city of Salford. Look out for those rather odd faded pink Salford signs that somebody once thought was a good idea and you’ll know that you’ve officially crossed the border. 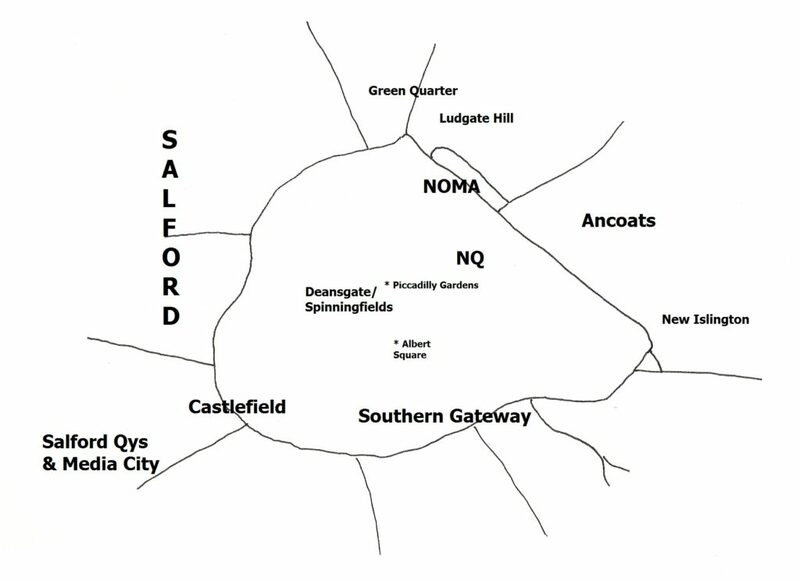 To some people, saying that you live in Salford is a bit like saying that you live south of the river in London, ie. for the most part it’s a bit downmarket and a bit like admitting you can’t afford anything better. A fair chunk of Salford is ‘awaiting regeneration’, plus it doesn’t have much of a centre to call its own. Some shiny new developments like Dandara’s new(ish) Spectrum are helping to change that though. On the plus side Salford offers good value for money and is very convenient – much of Salford is actually more convenient for the city centre offices and shops than most of Manchester itself. Salford Quays and Media City. Not strictly in the city centre as such, but it’s now a large enough residential area to demand consideration in its own right. This is a regenerated area with lot of new build and waterfront property, all anchored by the BBC and ITV Studios developments, the Imperial War Museum and the Lowry theatre and art gallery. As well as being quieter than the city centre this area is well connected to the road network and also served by the Metrolink tram system which offers access to the centre in 15 minutes. 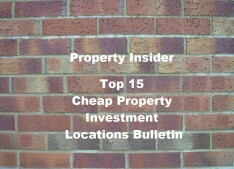 Generally rents and property prices are cheaper than the city centre proper too. One final piece of advice. Like most big cities Manchester doesn’t have a city centre focal point as such. But if you think of the city centre as being somewhere between the (it has to be said slightly grubby) public square that is Piccadilly Gardens and the (fortunately slightly smarter) Albert Square outside Manchester’s imposing neo-gothic town hall and you won’t go far wrong. Next Article » Can You Still Bag a Bargain at Auction ?